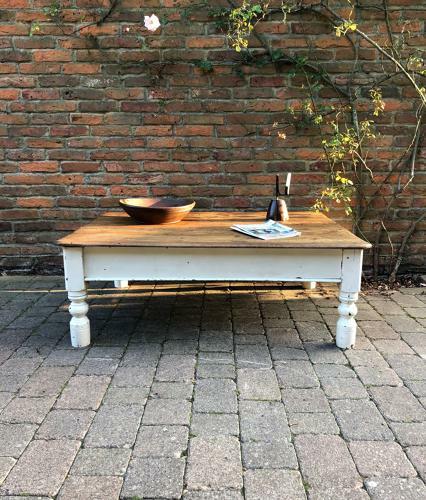 Victorian Pine Table with thick pine boards cut to make a great size Coffee Table. It has been cut to 18.5" high which is the standard height for a coffee table. Great colour to the boards on the top and the base has its early white paint in pretty good order.